"We have a historic opportunity to realise lasting peace and de-nuclearisation on the Korean peninsula," South Korea's Foreign Minister said at the opening of the World Economic Forum on ASEAN 2018. The two countries, who have been on a hostile footing for seven decades, marched under the same flag at the Winter Olympics earlier this year. Continuing a more positive tone, Kang Kyung-Wha, Foreign Minister of the Republic of Korea, spoke of a possible turning point. "For three decades, North Korea’s nuclear and missile programme evolved to be a serious and the greatest threat. But now through extensive diplomatic endeavours ... over the past year we have a very real chance to achieve North Korea’s complete de-nuclearisation and establish lasting peace on the peninsula," she said. Unlike previous negotiations, the minister said that "the importance of these agreements is they come from the top leadership level." This year, South Korea’s president Moon Jae-in has met North Korea's leader Kim Jong Un for two summits, and they are poised to meet again in Pyongyang next week. 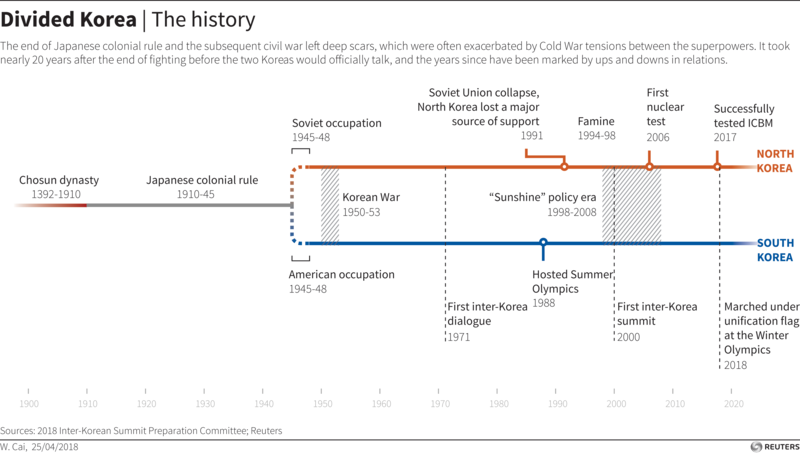 The two countries have never signed a peace treaty, with the seven decades that have elapsed since the end of the Korean War marked by tension and hostility. "They need to deliver on their de-nuclearisation commitment and work with South Korea in good faith to establish lasting peace," she said.